In the lead up to Christmas, most people consume their body weight in food. But you don’t need to spend a fortune to eat posh nosh. Here’s ten ways to inject some luxury into the day without the big price tag. A delectable selection of cheeses can really kick off social gatherings on the right note. Add contrast to the tart and bitter flavours of particular cheese varieties; with some sweet and juicy grapes and melon which are in season in Australia and New Zealand, along with some crackers. This is dangerous grazing fodder for those bovine lazy afternoons. This British dish has wrangled its way into most other parts of the world. 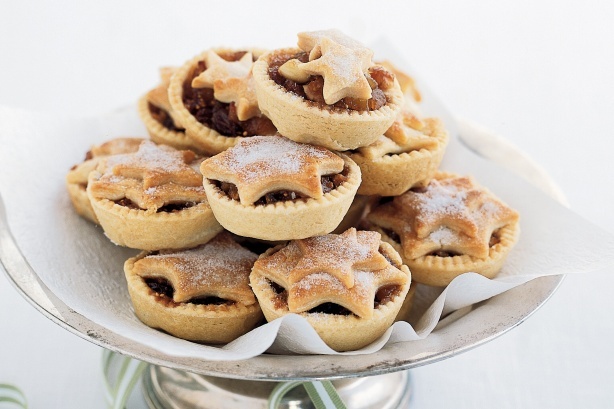 After all, what would Christmas be without tucking into a (fruit) mince pie. They are also incredibly cheap and ultra easy to make, here’s a good recipe. Use a wide selection of sauces, dips, glazes and dressings on salads and canapes. Normally, a ‘less is more’ Zen approach works when it comes to sauces. Although forget about that this Christmas. I fully advocate tumbling head-long into ruinous and gluttonous flavour combos. Gingerbread comes in countless permutations and can be flexible enough to become a table decoration, tree decoration or stocking filler. It’s arguably just as tasty as chocolate and probably healthier too. Take your gingerbread love to the next level and construct a gravity-defying beast of a house. If you have kids they will love the challenge, if you haven’t got kids well make the house anyway for fun! These can be notoriously fiddly to prepare and cook, but they are elegant and beautiful bite-sized cakes that look fantastic even as pieces of decoration on platters and cake stands. Add wine and several hungry people and watch them all disapear. Pairing all of the the delectable morsels with the right wine can get a bit dull. Instead mix up some refreshing summer cocktails using Midori, Cointreau, cranberry juice and gin. Make sure to mix up the drinks supply with intermittent ice and soda water to avoid people rolling under the dinner table. A version of this article was originally written by me for Forman & Field UK. Those should get you in the mode for the season 🙂 Thank you for sharing!